Renewable energy comes from natural resources such as the sun, in contrast to energy derived from finite resources based on fossil fuels like coal and oil that sooner or later will run out. Serious interest in renewable energy was sparked following the Arab oil embargo of 1973 and since then much progress has been made towards exploiting a variety of renewable energy resources, including solar, wind, hydropower, geothermal, biofuels, biomass, and ocean waves and tides. Put together, these are often referred to as the ‘renewable energy mix’. Apart from being clean, free and abundant, the renewable energy mix, especially solar and wind, have already achieved commercial acceptability, economic viability and compatibility with existing modes of energy generation, making them a serious alternative to traditional means of energy provision. Given the central place that energy occupies in society, there is no doubt that renewable energy as a whole will assume greater significance for a sustainable future of our planet. Algeria is amongst the top five and the top ten countries in the world for natural gas and oil production respectively. Indeed, Algeria relies heavily on hydrocarbons, with 94% of energy currently coming from natural gas, representing 50% of the national GDP. Recent studies suggest that about 5% of the country’s electricity comes from small hydropower plants while only 0.5% to 1% comes from wind and solar energy . This dire status of renewable energy in Algeria exists despite a favourable geographical location which offers one of the highest solar potentials in the world – Algeria resides within the solar belt of the world (Figure 1), where it is estimated that 6 hours of solar energy from the world deserts can meet the annual global energy demands. Figure 1: Hot spots of solar energy potential in the world (www.desertec.org). Studies estimate that electrical energy use in Algeria will rise to 83 Terawatt-hour (TWhr, 1TWhr = 1012 Watts.hour) by 2020 and up to 150TWhr by 2030 . Conversely, current projections estimate that the country’s oil reserves will only cover the next 50 years while those of natural gas will only be available over the next 70 years . Algeria thus faces a mounting challenge between its dependence on fossil fuels and its capacity for exploiting vast renewable sources. Some ambitious plans to develop renewable energy over the period of 2011-2030 have been put in place by aspiring to generate 40% of local electricity by 2030 from solar and wind , with an estimated capacity of 22,000 Megawatts (MW) dedicating 12,000 MW to domestic use and 10,000MW to exports at a cost of $60 US billion. A recent report showed that energy usage in Algeria is split between three sectors, industrial (24%), transport (33%), and residential and services (43%) . The renewable energy mix of solar, wind, geothermal and biomass energy as well as effective engineering applications can potentially contribute towards energy provision for these sectors and help move the country towards a more sustainable position in terms of energy provision and consumption. Solar energy has two main technologies: solar thermal and photovoltaics (or PV). Solar thermal technology can provide both heat and electrical energy. About 169,440TWhr/year, which is equivalent to 5000 times the current energy usage in the country, may potentially be harnessed and used to support various applications . For domestic use, Algerian houses can be fitted with solar thermal systems, exploiting solar radiation to heat water through flat plate collectors or evacuated tubes (Figure 2). For electricity generation, it is possible to use concentrating solar technology to focus solar energy and run steam and gas turbine plants that drive electric generators. On the MW scale, solar farms (with many solar units) may be installed in the Algerian desert using solar towers (as operational in Spain) where solar radiation is focused onto the top of a tower from concentrating mirrors (Figure 3). For electricity generation, it is possible to use concentrating solar technology to focus solar energy to run steam and gas turbine plants that drive electric generators. On the MW scale, solar farms (with many solar units) may be installed in the Algerian desert using solar towers (as operational in Spain) where solar radiation is focused onto the top of a tower from concentrating mirrors (Figure 3). Concentrating solar technology can also be used to provide hot water. With PV panels, solar radiation is directly converted into electricity. This technology is widely used around the world and is considered a well developed and mature technology. Algeria’s capacity from PV is estimated at 13.9Twhr/year  and can be applied in various contexts, such as attaching small panels to the roofs of houses, large panels on schools, hospitals and supermarkets, and installing large scale PV farms. The electricity generated from PV can also benefit isolated communities to support farming activities, e.g. by pumping water from wells or by operating solar refrigerators to preserve food and medicine. A major industrial application of PV panels is for desalination plants to produce drinking water, which is not an abundant source in the country. As an example of Algeria’s use of solar energy, a hybrid power plant in Hassi R’Mel has been operational since 2011, where solar energy is combined with natural gas to produce 150MWe of which 25MWe is from concentrating solar . Future projects include a PV station in southern Ghardaia, and a PV solar farm near the capital in Rouiba. Wind speed increases with height, and wind energy systems – the wind turbines – exploit this property by using blades to harness wind and convert mechanical energy into electricity. Wind turbine technology is also a well established and mature technology and its adaptation in Algeria should be accelerated using both onshore (on land) and offshore (on sea) wind turbines. Indeed, recent studies show that wind energy is the second most important renewable resource in Algeria [1, 2, 3]. The same studies showed that the strongest winds are located in the south west regions of the country, particularly near Adrar, which is why Algeria expects to have its first wind farm in in this region operational between 2014 and 2015 and generating around 10MW. Figure 4: Wind resource assessment in Algeria . Perhaps contrary to intuition, the coastal regions offer far less potential for harnessing wind than the southern regions. A possible explanation for this is that the Mediterranean Sea is quite a sheltered region from the open vast regions of the ocean, whereas the southern west region is facing the Atlantic Ocean to the west. However, more studies are needed in order to establish a fuller assessment of wind resources in the country. In terms of practical applications, wind turbines can be used at schools, hospitals, airports and large stores. In fact, wind turbines can be raised wherever there is enough blowing wind, e.g. in isolated rural areas that are cut off from the national grid, and along stretches of highways. Coastal cities could benefit from offshore wind farms that can be connected to the grid using subsea cables. Individuals can also install small wind turbines to power their own homes, which is a common practice in countries such as the UK, Germany and Denmark. Geothermal energy refers to the energy contained within the Earth and can be harnessed using two types of geothermal technology: hydrothermal systems based on hot springs, and ground source heat pumps (GSHP). There are more than 200 hot springs in Algeria, the most known of which are in Guelma, Khenchla, Biskra and Setif . The hot springs, or Hammamat, have so far only been used for therapeutic and leisure purposes, however, and their potential to generate useful heat energy is yet to be fully explored. In general, geothermal resources can be classified as low grade (low temperature) or high grade (high temperature); in the case of Algeria, more than a third of its geothermal resources have temperatures above 45° C .
Figure 5: Simple scheme to utilise Algeria’s hot springs to generate electricity and heat from superheated steam. There are three feasible applications that could make use of these hot springs to provide additional useful energy for the country. Springs can be used to provide hot water to nearby residents or commercial buildings since this only requires simple, well insulated pipes and some duty pumps that can be powered from solar panels. Additionally, some locations have high water temperatures, e.g. at Hammam El Maskhoutin in Guelma (98° C) and another in Biskra (118° C) , which can be used to provide hot steam, at specific pressures, as required by process industries such as paper mills or other industrial drying processes.. Finally, superheating the hot water by raising its temperature beyond boiling point will generate ‘superheated vapour’ that can be used in steam engines to generate electricity and heat. Superheating may be achieved using solar energy, as illustrated in the scheme of Figure 5. Figure 6: A simple GSHP scheme as used for heating purposes. GSHP technology is an expanding renewable solution that could be quickly adapted in Algeria. The idea behind GSHP is simple: to exploit the constant temperature of the ground (~15°C) few meters below the surface in order to provide heating or cooling as required. This involves digging a network of tubes to depths of 10-15 m (Figure 6) and using refrigerants that can rapidly absorb and release heat energy to provide heating during winter and cooling during summer. Because the main system is buried under ground, GSHP offers a non-intrusive approach of useful energy transfer. Biomass is a general term used to refer to all types of animal and plant material including municipal solid waste, animal and industrial residues, agricultural and forestry crops/residues, and sewage. These materials can be burned or digested to produce heat and electricity. A common example is the burning of wood for heating purposes. Biomass material can be taken through either a gasification process to produce gases or a pyrolysis process to obtain bio liquids. The gases and liquids can then be used as fuel to fire power plants. Other perhaps unexpected possibilities for exploiting biomass include using municipal waste to create landfill gas and produce electricity when burned in large combustion engines, and using unwanted materials such as recycled vegetable oil and grease from restaurants to make biofuels. Miscanthus, which is a tall grass that can grow to heights of more than 3.5m in one growing season  has a rapid growth rate, high yield per acre, and low mineral content, making it yet another excellent candidate for producing biofuels. Miscanthus Grows well on barren land, and so does not compete for land used for food crops. Last but not least, Algae, which can possess up to 40% of its weight as oil, are also a promising source for biofuel production and can naturally grow in many aquatic environments. Algae can be harvested in photo-bioreactors, or in large scale nurseries. Plant efficiency is important for the successful exploitation of renewable energy. For solar energy, plant efficiency often refers to the percentage of solar radiation input that is converted into electricity while taking into account all the losses. A second challenge is that of intermittency, which is particularly pertinent for solar or wind resources since there is no sun overnight, and wind does not blow continuously which leads to variations in the amount of harnessed energy. The impact of intermittency is crucial when integrating energy harnessed from renewable resources into the grid because intermittent power supply can cause difficulties when making grid connections. Electrical systems like inverters and power electronics must be used to deal with power variations at the grid interface to ensure that intermittent connections are managed properly. Grid integration and performance is thus a third challenge. Existing electrical networks are likely to require an upgrade not only to deal with increased capacity but also to respond to the challenges posed by intermittency. Upgrades may involve introducing the concept of “smart grids”, which was developed as a result of the increased exploitation of renewable energies. In contrast to a centralised power station feeding consumers, “smart grids” allow individuals to be both consumers and producers of electricity. There is much debate on how a smart grid should operate so that energy usage is controlled with minimal consumption. Because individuals can sell their energy to the grid, this must be done with minimum effects on the electrical grid performance. Ensuring continuous supply of power is also a challenge but one that can be addressed through appropriate energy storage solutions, e.g. using batteries to store excess energy that can then be used at later points when demand is high. Another solution involves using excess solar, wind, or geothermal energy during an electrolysis process to produce hydrogen from water. This hydrogen, produced with minimum CO2, can be stored in hydrogen tanks and used for electricity generation in fuel cells. Another method is to use phase change materials (PCMs) that change their state from solid to liquid when absorbing excess energy to then re-phase to solid state when releasing energy. Renewable energy is a multidisciplinary science, so there is a golden opportunity to bring together Algerian scientists from various disciplines to capitalise on their skills. Algeria currently enjoys huge incomes from oil and gas so it is imperative that part of this capital should be used to accelerate development of renewable energy, otherwise the country would miss the current wave of renewable developments. Thousands of jobs for Algerian scientists, engineers as well other supporting domains can be created in parallel to commercial developments of solar and wind farms, e.g. in the South. In turn, this would enrich local economies and contribute to promoting national expertise to ensure technical independence in the long term; Algeria cannot afford to be always dependent on foreign skills for exploitation of its energy potential. Raising public awareness of renewable energy can have a crucial role to play in this regard, and can be promoted at schools and universities through summer schools, technical workshops, presentations, and specialised degrees. As in other countries, the government must introduce well measured energy policies like the Feed In Tariffs (FiT), which offers some money for every kW of renewable energy generated. Strict obligations should be placed on large firms and public buildings to encourage them to undertake clear energy audits, to ensure they use energy wisely. Clealry, we ought to study and learn from renewable energy plans in countries like Japan and Germany. Japan, for instance, is committed to 100% renewable energy as early as 2020 , a move based on strong public opinion towards renewable energy, high level technology, and favourable energy policies. Renewable energy development will encourage international investment and collaboration, thereby securing funding for projects. But it is also important to encourage investment from Algeria’s private sector and young entrepreneurs to help reduce reliance on state funding. 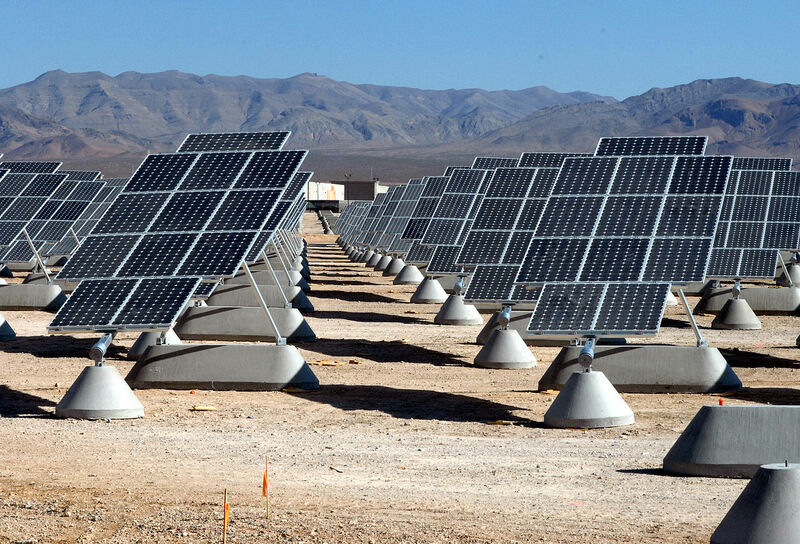 Investment in renewable technology would give Algerian scientists and inventors the opportunity to develop patents for renewable systems. Currently, Japan alone holds about 55% of the world’s patents on renewable energy concepts . The potential of renewable energy development in Algeria, particularly from solar and wind resources and to a lesser extent geothermal and biomass is a great one. These technologies offer a number of simple, feasible, and economically viable applications that can be implemented both in the short and long terms. The ability to generate heating or electricity from renewables can greatly enhance the quality of life in Algeria, create jobs, develop technical skills, reduce the country’s dependence on oil and gas, while meeting obligations of reduced greenhouse effects and global warming. Increased renewable energy production will also enable better management of fuel based reserves. Algeria is very well placed to be a major player in the lucrative market of renewable energy. However, transition to more renewable energy use will need to start immediately, at least using hybrid technologies. Genuine political will and favourable policies are essential if we are to fully embrace the renewable energy age. Y. Himri, S. Himri, A. Boudghene Stambouli, “Wind power resources in the south-western region of Algeria”, Renewable and Sustainable Energy Reviews, vol. 14, pp.554-556, 2012. A. B. Stambouli, Z. Khiat, S. Flazi, Y. Kitamura, “A review on the renewable energy development in Algeria: Current perspective, energy scenario and sustainability issues”, Renewable and Sustainable Energy Reviews, vol. 16, pp.4445-4460, 2012. A. B. Stambouli, “Algerian renewable energy assessment: the challenge of sustainability”, Energy Policy, Vol. 39 (8), pp.4507-4519, 2011. S. Menani, “Algeria renewable energy program: outlook and applications”, Energy Week Conference, Vaasa, Finland, 2012. I. A. Zino, “Renewable Energies in Algeria”, Arab Climate Resilience initiative: Climate Change Impacts in the Arab Region “Towards Sustainable Energy: Resources, Challenges and Opportunities”, Manama, Bahrain, 06-07 October, 2010. R. Ehrlich, “Renewable Energy: A First Course”, Taylor and Francis Group, 2013. S. Acourene and A. Ammouche, “Optimization of ethanol, citric acid, and α-amylase production from date wastes by strains of Saccharomyces cerevisiae,Aspergillus niger, and Candida guilliermondii”, Journal of Industrial Microbiology and Biotechnology, Vol. 39, Issue 5, pp.759-766, 2012. Takatoshi Kojima, “How is 100% Renewable Energy Possible in Japan by 2020?”, Internal Report for the Global Energy Network Institute, 2012. 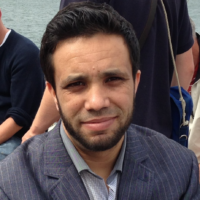 Dr Bouferrouk is a Senior Lecturer (Mechanical/Aerospace) at the University of West of England, Bristol, UK. Previously, he was a Lecturer and Senior Research Fellow at Exeter University. His research interests are varied ranging from field measurements of flow turbulence at wave and tidal energy sites, flow control, energy efficient systems, and renewable energy. Previously, Dr Bouferrouk worked at the universities of Birmingham and Nottingham. He holds MEng (Aerospace Engineering) and a PhD from Southampton University. Dear Imen. Your observation is correct. It would be useful to have the exact cost information as related to Algeria for each technology for comparison (may be someone from the Ministry of Energy, Sonatrach, Sonalgaz, etc can tell us accurate numbers). However, it is obvious that Algeria’s main focus should be on solar energy as we just have so much of it (all free) and all technology is available to exploit it. Yes, the starting investment will be huge (thus high cost/benefit ratio), but it will pay off. The example of the hybrid power plant in Hassi Rmel that partly uses solar power is a great step for us but more needs to be done and quickly. It remains true that renewable energy projects are expensive still but the cost depends on many factors such as availability of the renewable resource, complexity of the conversion process, availability of technical skills, maturity of the technology, the renewable policies offered by a government such as feed in tariffs per kW, political will/vision, efficiency of project management, level of corruption, etc. In general terms, the hope is that as renewable energy become widespread (large scale production) and more accepted, the cost will come down. For instance, prices of PV panels have been falling, and in the UK you can probably spend between £4,000-6,000 to have PV panels on your roof. The great thing to remember about renewables is they are FREE and sustainable, so in the long term you should get a return on your investment especially realising that as individuals we can also sell excess energy back to the national grid. Perhaps what puts some people off is the need to wait for few years to get a return on their investment. You are right petrol costs are high and for many countries they are quite dependent on import of oil. So they have realised that switching to renewable energy will free them of fluctuating and unstable oil prices, thus giving them some level of energy security, so it is much of a political issue as well. Also as you implicitly said renewable energy options are least harmful to our environment; another good reason to adopt them. Many thank for the nice article. Briquetting plant is also renewable source of energy that can convert argriculture waste into briquettes without polluting environment. First I would like th thank Dr Abdessalem, actually I am doing one research on the opportunities of this kind of energy on my assignment (student in England), I find it useful and got benificial information. Hopefully this kind of activities will be widely used in Algeria soon.